As a graphic designer, it is important to maintain one of the driving forces behind everything you produce: creativity. The key to creativity is that inspiration is everywhere around you; from the museum down the block to the shirt you’re wearing right now. From a holistic view of a city to a close look at a leaf, inspiration can be found anywhere and by anyone. Each of these graphic designers have a variety of work spanning multiple fields, giving you a wide selection of inspiration to draw from. You can also check out some design inspiration blogs such as Mirador, which gathers some of their favorite works for the public eye or print.pm, which displays a variety of magazines and books that catch the eye in different ways. Podcasts are another great way to gain inspiration. Design Observer is a podcast that covers a broad range of topics within design featuring top graphic designers such as Michael Bierut, who has worked with the Library of Congress, the Walt Disney company, and the like. There are many more common places to find inspiration. Moving away from the obvious logos and posters, look at things you often see in your everyday life. Take a walk and examine the environment. Nature is a place of abundant patterns and combinations, so get inspired by a close look at a flower or insect. The city can also hold many ideas. See how slogans are displayed, how blocks are arranged, and how buildings are structured. Notice what people are wearing or look at your own clothes for a plethora of style choices. Everyday life is filled with opportunities to renew your imaginative spirit. While eating out at an eclectic eatery, observe how the menu design enhances the atmosphere in a restaurant. The smaller, intricate details on a menu can help inspire you for a more nuanced project. Business cards can also be a small piece in a much larger message about a company or entrepreneur. Fonts play a large role in design everywhere. See what fonts different magazines and books use and how that impacts the work as a whole. Go to a bookstore or stand in a magazine aisle and take a sweep of the fonts used all around you. Or if online, examine the fonts on your favorite websites. Gift cards and postcards offer another simple, but powerful design. Inspiration is in full bloom around us all the time. Our world is filled with expressions of creativity and ideas. In every place of any size there is inspiration to be found. Sometimes it is looking at posters and art that inspires; at other times, it is the fonts and colors that fuel a new idea. No matter where you are or what you are looking for, there’s bound to be something that sparks your imagination and helps you maintain inspiration. 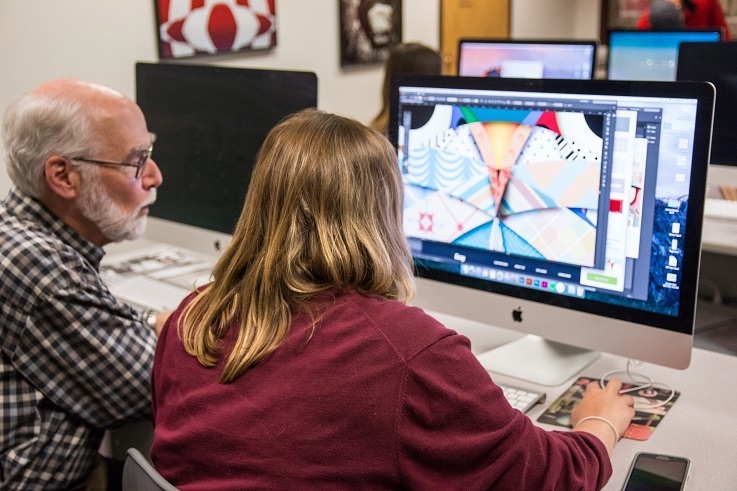 Learn more about William Woods Bachelor’s Degree in Graphic Design.